Diesel generators are highly in demand at industrial plants, hospitals, homes, offices and other commercial places due to their cost effectiveness and higher efficiency. IVECO generators in Dubai are preferred by millions of consumers due to their ability to run long hours compared to other generators. They are better in terms of reliability, durability, safety, cost and performance, and are far more successful than other kinds of power sources available in the market. Before you make any decision about which diesel generator to buy, you need to find what exactly they can do for you. The basic purpose of diesel generators is to generate electricity effectively for any particular purpose. They can be used in commercial, residential as well as industries to prevent the effect of power blackouts. Diesel generators are available in different designs and sizes based on commercial and individual purpose. There are numerous brands such as – IVECO, Lombardini, Perkins, etc to choose from. These are the most popular brands and are considered to be strong names in the world of generators. When buying a diesel generator, it is important to consider if you need a generator for primary source or standby power. You can choose portable IVECO generators Dubai, as they are best suited for residential purpose. Diesel generators come in different speeds and are called either by liquid or air. The ideal speed of diesel generators is 1800 RPM and last longer. These are quieter when compared to other models. On the contrary, air cooled diesel generators tend to be stronger and are more reliable. As you can see, there are numerous brands and models available, you can go to the company website directly to find an appropriate generator that meets your requirements. Diesel generators lead the field of emergency power supply. Its cost, maintenance and efficiency makes it an essential solution for today’s world. 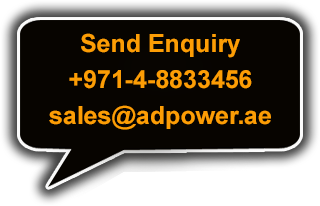 Before you are apprise the benefits of IVECO generators Dubai, you should know which one is important. Diesel comes under the category of a very stable fuel and is not dangerous as propane, petrol and other fuels. Therefore, a diesel generator is very safe and will not lead to any kind of explosions. It even does not cause any harm to the environment. Diesel generators are not associated with any kind of health problems. You may experience headache from the fumes, if you stand too close for long periods. But, you will not find any toxic fumes, which you find in other fuel generators. Carefully selected model will provide you with years of use. Though a few spare parts cause problems, if used improperly. But, if we see the overall performance and benefits, we will find the maintenance is less compared to power generators. IVECO generators are not prone to overheating and has a prolonged shelf life. The investment is definitely worth it and one will surely agree to it when they buy one from local distributor. If you are in search of a backup source of power, then generators are the best devices. There are different types of fuel available that are used to power a generator. Diesel generators are amongst the most efficient generators that perform well, have longer life and need less maintenance.